"Last week, my naughty brother somehow got my Dell laptop password changed for me. To make things worse, he forgot the new password! I was so angry that I nearly lost my temper. I have all my papers in the laptop, without which I could hardly pass my courses. I am craving for a way to crack my Dell Alienware Windows 7 admin password. Any advice will be greatly appreciated for forgot password on a dell vostro 1520." As Dell is one of the most popular laptops I guess Bruno is definitely not the only one who wants to hack Dell laptop Windows password. We could not help wondering if there is an easy way to hack Dell Latitude password, Dell Inspiron password, Dell XPS password, Dell Vostro password, Dell Alienware password and more, which saves us time and energy? And here is Windows Password Recovery Tool, a professional software tool designed to reset Windows password for all Dell laptops and other computer that run Windows. Also could be help for crack Dell HDD password. The powerful tool makes it very easy to crack Dell laptop password on Windows 10/8.1/8/7/Vista/XP you only need an accessible computer and a CD/DVD or USB flash drive to do this. Seeing is believing. Let's see how Windows Password Recovery Tool hacks Dell laptop Windows login password in simple 5 steps. Step 1. Get prepared with a PC that is not password locked, download and install Windows Password Recovery Tool to this computer and run the program (For local account password crack, I suggest you downloading its standard version; for Microsoft account password, ultimate version is recommended). Step 2. Burn a password reset disk to a device you prepared, and the drive could either be a CD/DVD or a USB flash drive. The picture below uses Kingston DataTravelerMini, a USB flash drive, as device. Step 3. Connect the newly created disk to the password-locked Dell laptop, change bios setting to make it boot from the password reset disk, i.e. CD-Rom Drive or Removable Devices, and then boot the laptop. Note: In the demo we choose a USB flash drive as reboot device, thus in the BIOS setting we should set the laptop to boot from Removable Devices. But pay attention that if your laptop is preinstalled with Windows 8/8.1, you have to disable UEFI secure boot before setting the BIOS. Step 4. The interface of Dell Laptop Password Cracker will be displayed when the booting finishes. Choose the target Window operating system and user account you want to crack password for, next click "Reboot" to begin reset Dell laptop password. Step 5. A message box will pop up, just click "Restart now", and the password will be cracked to a blank one. 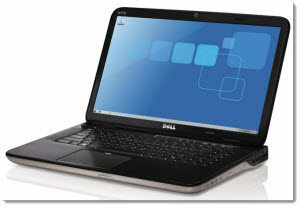 You are able to get into Dell laptop without password now. You can contact Dell Technical Support for help if you want to know how to jailbreak a Dell laptop and recover Windows system. Before doing this you are required to prove your identity to the support staff as an added level of security. You can contact Dell Support by visiting support.dell.com. Call them, chat or email to receive your Dell BIOS password. However, if your computer is out of warranty, you may be charged a fee to talk to technical support. To crack Dell laptop notebook password is not as difficult as you thought, right? If your friends are stuck in the same situation share with them how to hack a Dell login password even Dell Windows 8/8.1 password recovery with Dell Laptop Password Cracker. As the release of new Windows 8.1 and the expiration support of Windows XP, many Dell Windows XP/Vista/7/8 users may need upgrade current system version. During upgrading, we users may meet problems like Windows backup and recovery, Windows blue screen, data loss, partition deleted, etc. Take it easy! The powerful Windows Boot Genius will help us fix many computer problem! Go to here for more solutions!